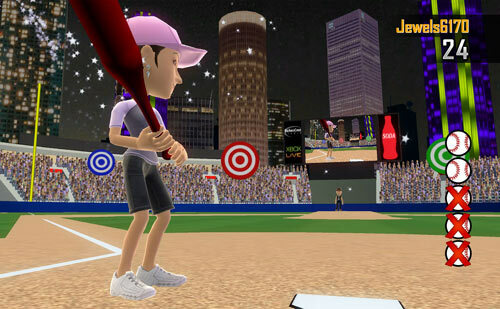 Today only, Avatar Golf is on sale for the lower-than-previously-thought-possible price of 200 Microsoft Points ( or is it 160??? ). Be sure to pick it up if you haven't already. The game is a steal at this price. It is out folks. Go and get it. See if you can beat my high score. Avatar Golf is flying first class, and doesn't have to pay $50 for each additional luggage. You can probably imagine the bewilderment and surprise I felt when I received message from Tommy McClain that Avatar Golf was hanging out in a space exclusively occupied by Arcade Games. Since I didn't have access to my 360 for a while, I kept thinking I was reading his message wrong. I thought to myself, "No way is an Indie Game hanging out on the dance floor with the cool kids...Indie Games are supposed to be standing against the wall by themselves talking about the homework in Algebra class". So Tommy ends up sending me the following picture. Wow! I couldn't believe what I was seeing with my own two eyes. An Indie Game was proudly standing shoulder to shoulder with the best Avatar games the Xbox 360 has to offer. ( With the best box art in my humble and biased opinion ) Kingdom of Keflings, Uno, Guitar Hero 5, Brain Challenge, Age of Booty...the list goes on and on. I was so excited when I saw it I had to take a picture myself. When Community Games launched in November of 2008, some would say we stumbled down the runway and were doomed for failure while others saw potential and promise. 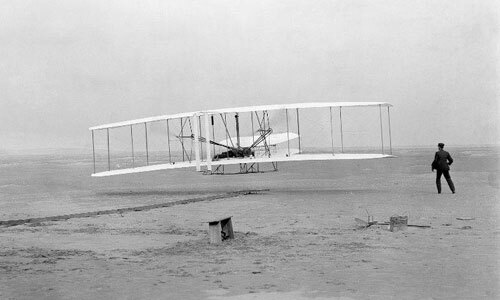 Sure, we may not have been perfect but we all had dreams to one day fly with the birds. Less than one year later, here we are, hanging out at the cool kids lunch table. Not too shabby for a humble developer and his tiny family. 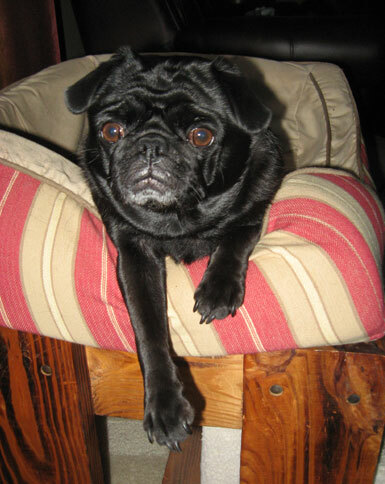 That's right Carly, buckle up, we're flying first class! It has been a long time coming, but it is finally here. 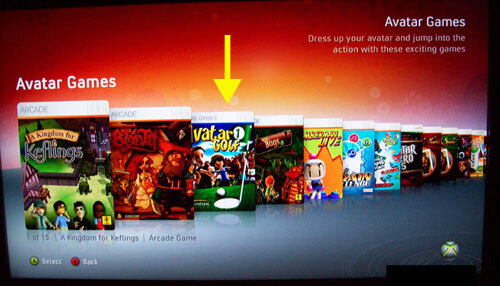 Avatar Golf has hit the Xbox Live Marketplace and from early indications is a hit among my Xbox friends. Avatar Golf has already passed Easy Golf in lifetime sales and trials after being out for only 5 days, which is a solid indicator of the growth and health of the Xbox Indie platform compared to November 08. Every time I turn on the game I'm simply amazed to see anywhere from 4 to 8 online matches going on at anytime. Course designers are already working ( how is fun work? ) their tails off building courses. I've already managed to get one 18 hole course and another work in progress 9 hole course from the community downloaded onto my Xbox to play anytime I want to. I've also seen about 8 or so works in progress that just blow my mind what people come up with using the new Designer features. I'm already receiving feedback on bugs in the game so if you've found one be sure to report it here . I'll get them fixed in a future update. 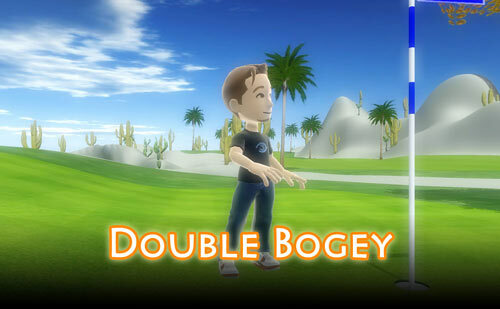 Play Golf as your Avatar! Six uniquely themed 18-hole courses. 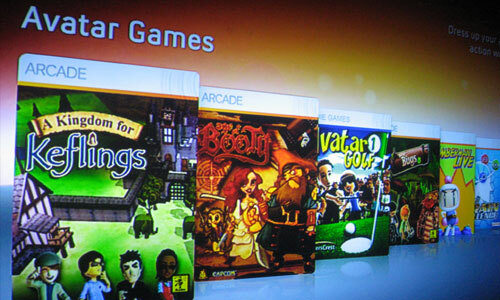 Create courses in the powerful and easy to use course designer and then share them with other gamers over Xbox Live. New Designer features such as houses, cart paths, and bridges. The list goes on and on. Unlockable Titles. Meet certain criteria like scoring a hole-in-one and unlock a title. Show off your title in the online lobby for all the other Xbox gamers to see. 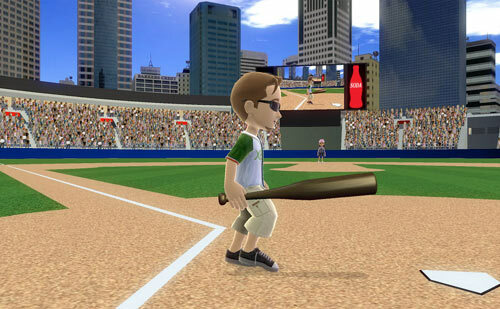 Joinable online matches ensure there is always an online match for you to play in. Well, thats it for now. Barkers Crest Studio ( Yes that is us above and on the boxart ) would like to send a big thanks to everyone who has purchased or played the demo for giving us a chance. We hope you all enjoy the game and enjoy what Barkers Crest Studio has to offer. Barkers Crest Studio wants to know How Low Can You Go! Who: You, the gamer vs. Easy Golf, the game. What: It is a simple contest, shoot the lowest score from the blue tees of all participants on a course and win 1600 Microsoft Points. When: Submissions are accepted February 27th through March 31st 2009. Winners will be notified on or around the week of April 5, 2009. How: Get the full version of Easy Golf ( here ) and play any of the eligible six courses from the blue tees. Take a picture of your best course records and send them along with all of the required submission information to contest@barkerscrest.com. Submit an entry for each course and you have six chances to win one prize. For official contest rules and submission requirements visit http://www.barkerscrest.com/contest. This has been one awesome journey and now we are finally here. 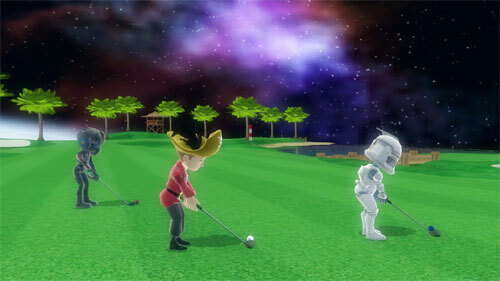 The final update to Easy Golf is available on the Xbox Live Marketplace. To get the update, follow these steps. 1. If you already have the game, delete the game from your xbox. Do this by navigating to the game as you normally would to play it. When the option comes up to play or delete the game, select delete. Don't worry, your game saves will be preserved and the updated version is compatable with them. Now that you have the update, what is in it? 14 Unlockable character accessories such as a cowboy hat, pirate hat, clown nose, sombrero, top hat, and much more. New Course Records ( Saves your best score for each course based on tee box including downloaded courses ) WARNING: If you modify a course your designed or redownload a course from someone else the course records for that course are reset. 3 new desert themed trees. Can build larger areas of tall grass with no code 4 errors. Can build larger areas of water with no code 4 errors. During hole setup, wider options are available to accomodate sharp dogleg designs. Graphical changes to a few of the Weeping Willow holes. Added help screens so gamers can more easily find online matches or courses to download. ...and tons of other stuff I can't even remember! Please remember, this is the final update. There will be no more updates. However, all of the fun is just getting started. ...as always, I appreciate feedback, good or bad. If you appreciate all of the effort put into this game I would very much appreciate it if you could tell a friend or two about Easy Golf. The day we have all been waiting for is almost here. The update is currently in peer review and on its way to you soon. Check back in a few days as I'll post here once the game passes and is out on the marketplace. "Easy Golf is a title that makes full use of what XNA has to offer, and that deserves some real commendation." 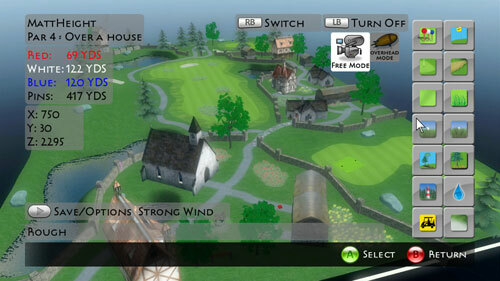 "Easy Golf restores our faith in the Community Section of Xbox Live. It just shows what one person can achieve with talent and dedication. If you have enjoyed golfing releases previously then this warrants your time, so make it your next purchase and get involved online." 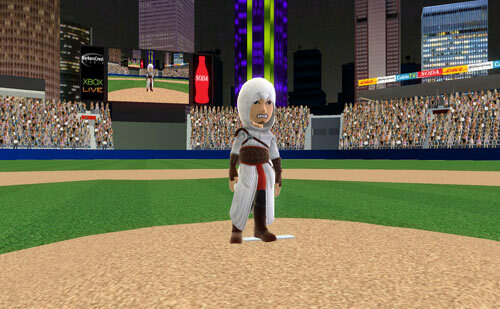 "All told, it's Wii Sports golf for the Xbox 360, at the price of $10, with a well-functioning if not user-friendly course creator. We're not seeing the downside." "Overall this is a tremendous community game. I highly recommend it to everyone. At the very least be sure to download the demo and give this title a shot. You don’t need to be a golf fan to enjoy the title and you don’t need to know the rules either. This is a casual golf title that everyone can enjoy. If you want you can just spend your whole time building courses for friends and families to try and beat. Be sure to give this one a try."